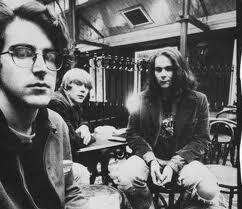 I'm sure I'm not the only one who's been caught completely unawares by Sebadoh's sudden return. Sure they've been touring for the past five years in support of reissues and other nostalgic means, but as a creative engine they've long seemed dead in the water.﻿ With that in mind, the release of a brand new EP, entitled Secret and announcement of a full length due in 2013 have come virtually out of the blue. What's even more surprising, though, is the quality of the material in question. Given that it represents their first output in 13 years, you'd expect Lou Barlow and co. to sound disjointed, or at least a tad ring-rusty. Instead, they've picked up seamlessly from where they left off, resuming the sloppy joys of their classic sound and reinstating it over the course of five excellent tracks. It may be described as "a taste of the upcoming album," but none of these songs are set to be reused, suggesting that even greater pleasures may lie in wait. You can stream and purchase Secret from Sebadoh's Bandcamp page. A limited number of CD copies will be available at the group's coming live shows.